Organizations traditionally conduct an annual employee engagement survey and are often ‘surprised’ at the results. It is no secret that the extent to which an employee is fully engaged is in large part dependent on the work relationship with his direct manager. Yet, conversations about performance or career aspirations often happens just once a year with minimal impact. Additionally, these conversations are often stressful for both the manager and the employee. The session will discuss how managers can transform from being a ‘boss’ to being a ‘coach.’ Attendees will gain valuable insight into how managers can make this transition to enhance their relationship with their employees. This session will also give attendees insight on how to help performance conversations be less stressful and more productive. We will look closely at coaching conversation starters, how to prepare and techniques for keeping conversations future focused. Dr. Janet Lockhart-Jones, Senior Leadership Consultant, Pitney Bowes, Inc.
Dr. Janet Lockhart-Jones, a leadership development expert, transformational speaker and executive coach, currently works for Pitney Bowes, Inc. as a senior leadership consultant in the leadership and organizational performance group. In her role, Janet designs, develops, implements and facilitates the delivery of global leadership initiatives. She also coaches leaders through performance and other work-related matters, and works with business leaders to develop and build strong, high-performing teams. Prior to this role, Janet served the organization in the critical cross-enterprise, subject matter expert role of curriculum manager and consultant for key business topic areas. Prior to joining Pitney Bowes in 2012, Dr. Lockhart-Jones was president and principal consultant for Project Partners Consulting, Inc. From 2004-2012, Janet traveled world-wide as a senior international project management and leadership consultant supporting individuals, teams and organizations to ignite and sustain change, enable project success and drive business results. Janet holds a doctorate in organization and leadership, a master’s degree in human resources management, and a Bachelor of Science degree in business administration. 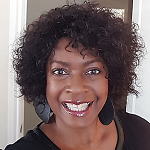 She is an Accredited Insights Discovery Practitioner, a Certified Human Resources Strategist, Executive Coach, and Transformational Public Speaker.